Lyndsay Pittman was appointed registrar at the University of Tennessee Health Science Center in Memphis. She was registrar at Oklahoma City campus of Oklahoma State University. Pittman is a graduate of the University of Oklahoma, where she majored in psychology. She holds a master’s degree in adult and higher education with a concentration in college student personnel from the University of Central Oklahoma. Tasha Toy was appointed assistant vice president for campus diversity and director of the Multicultural & Inclusion Center at Dixie State University in St. George, Utah. For the past eight years, she has been director of multicultural and international student programs at Berry College in Rome, Georgia. Dr. Toy holds a bachelor’s degree in history and a master’s degree in instructional technology from North Carolina Central University in Durham. She earned a doctorate in higher education research and policy from Seton Hall University in New Jersey. Karin Immergluck was appointed executive director of the Office of Technology Licensing at Stanford University. She was executive director of technology management at the University of California, San Francisco. Dr. Immergluck has been on the staff at the University of California, San Francisco since 2004. She holds a Ph.D. in molecular development genetics from the University of Zurich in Switzerland. Kathleen Fairfax was named vice provost for international affairs at Colorado State University. She has been serving as assistant vice president for international affairs and outreach at South Dakota State University. Earlier in her career, Fairfax was vice provost for global education at Arizona State University. Fairfax is a graduate of DePauw University in Greencastle, Indiana, where she majored in political science and Spanish. She holds a master’s degree in political science and international education from Indiana University. 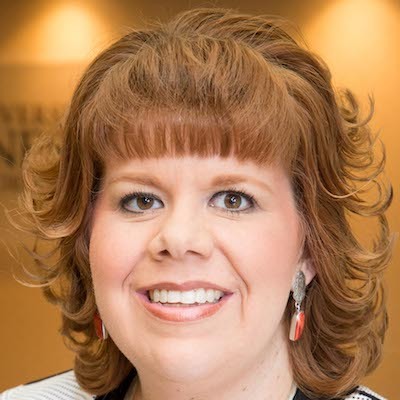 Erin Owen, who has been serving as executive director of the Office of University Communications at the University of Nebraska-Omaha, was named director of communications and marketing for the Buffett Early Childhood Institute at the University of Nebraska. Owen is a graduate of the University of Kansas, where she majored in business communication. She is pursuing a master of fine arts degree in writing at the University of Nebraska-Omaha. Lee Anne Chesterfield was named director of the Harn Museum of Art at the University of Florida. She has been serving as senior advisor of museum planning and board relations at the Virginia Museum of Fine Arts in Richmond. Dr. Chesterfield is a graduate of James Madison University in Harrisonburg, Virginia, where she majored in marketing. She holds a Ph.D. in art history from Virginia Commonwealth University in Richmond. Jaime Hunt was promoted to vice chancellor and director of the new Division of Strategic Communications at Winston-Salem State University in North Carolina. She joined the staff at the university in 2015 as director of public and media relations. Hunt holds a bachelor’s degree in journalism from the University of Minnesota and a master’s degree in integrated marketing communications from West Virginia University. Anita A. Davis was appointed vice president for diversity, equity, and inclusion at Trinity College in Hartford, Connecticut. She has been serving as director of diversity and inclusion for the Associated Colleges of the South, a group of 16 higher educational institutions. Dr. Davis is a graduate of Rhodes College in Memphis, Tennessee. She earned a master’s degree and a Ph.D. in clinical/community psychology from the University of Illinois. Chris McLeod was named the fifth director of the Osher Lifelong Learning Institute at Duke University in Durham, North Carolina. She is the former director of corporate and foundation development for the Kenan-Flagler Business School at the University of North Carolina at Chapel Hill. McLeod is a graduate of Wheaton College in Massachusetts, where she majored in political science. She holds a juris doctorate from American University in Washington, D.C.